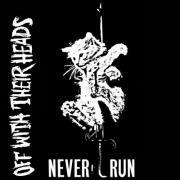 My label of the day for the 11th of December 2011 is - Drunken Sailor Records, because they've just announced the release of a very special split 7" with Off With Their Heads and Discharge, as well as all the other awesome releases they have put out. Go check em out. Visit their Facebook page at http://www.facebook.com/DrunkenSailorRecords and buy their records on BigCartel at http://drunkensailorrecords.bigcartel.com/.